Ji, Han Jae was born in 1936 in Andong, Korea. His family moved to Sun Yang, China when he was one year old. He attended school there until 1945 when his family returned to Andong. He began his martial arts training in Yawara a few years later with Choi, Yung Sul at the age of 13. The techniques he learned at this time were primarily joint locks, throws, low kicks, and sword techniques. For part of this time he was living in a house he had built himself and was working for 10 months as an architect for City Hall. He trained full time with Choi until 1956 when he moved back to his home city of Andong from Seoul. When Ji was eighteen, he began to train with a man he used to refer to asTaoist Lee. Lee was Ji’s Samrangdo instructor and he used the term “Taoist” when he first arrived in the US because it was the closest word he could find to describe Lee. Lee trained Ji, Han Jae primarily in mediation, the use of the Jang-Bong (6' staff), the Dan-Bong (short stick), and in Korean Taek-Kyun or Tek Gi yun, kicking. Many of the drills that Ji was doing at this time are similar to plyometrics used in sports today. With many kicking techniques and high jumping techniques, Ji had a perfect complement to the grounded techniques of Yawara taught by Grandmaster Choi. In addition to the martial aspects of training, Lee also began Ji on his mental and spiritual training. He trained him in numerous meditation and breathing exercises. He trained with Lee for almost five years after which he continued his training with Lee’s instructor, “Grandma.” Ji would spend hours with Grandma at a temple that was a healing complex for terminally ill individuals. He spent about 3 years with her and considers Grandma to be his spiritual teacher. He continued training with her until he left Korea. In Andong, Ji, Han Jae, then a 3rd dan, opened his first dojang at the age of 23, which he called a Moo Kwan and taught Yu Kwan Sool. After approximately nine months in Andong, Ji decided to relocate to Seoul in September of 1957. He stayed in a boarding house in Wang Shim Ri. The son of the owner of the boarding house, Hwang, Duk Kyu, was his first student at this dojang, called Sung Moo Kwan where he taught Dae Han Hapki Yu Kwon Sool. In 1958, Ji moved his school to Joong Boo Shi Jang where he continued teaching until April of 1960. It was during this period that Ji began to piece together the Yoo Sool (Yoo kwan Sool) teachings of Grandmaster Choi, with the methods of meditation, the Taek -Kyun kicking techniques, and the weapons techniques learned from Lee, along with the spiritual training he received from Grandma. The product was “Hapkido.” He had originally though of calling it "Hapki-Yoo -Kwan-Sool," but decided against that, feeling it was to long. He used the model of other martial arts he had heard of, such as Tae Kwon Do, Soo Bak Do, in which the word 'do' means a path to follow, or a way of life. He liked this rather than simply 'techniques' as 'sool' implies because it gives a better idea of the variety of techniques in Hapkido. It is interesting too that at this time much of the emphasis of Hapkido was on kicking. This can still be seen today in Korea where the Hapkido schools emphasize kicking whereas in the United States it has simply become the self-defense techniques used to supplement arts that lack joint locking, throws, and applicable self-defense. Hapkido can be translated as “The way of the mind and body together.” When "hap" means to together, "ki" means mental and physical energy, and "do" means a way of life, or the 'path' or 'way' of coordinating your mental and physical energy into one entity. In this way, Ji was able to combine what he had learned from Grandmaster Choi, Lee, and Grandma into a cohesive martial art that has spread throughout the world. General Park, Chung Hee (1917-1979) became the Korean President after he overthrew the government in May of 1961. Ji was teaching at the Korean military academy at the time, and in 1962, Ji moved to Kwan Chul Dong, to the Hwa Shin Department Store. By this time, his reputation had grown substantially and had built his Sung Moo Kwan School to about 400 or 500 students. After a demonstration and with assistance from Major Lee, Dong Nam, Ji was given permission to instruct the military Supreme Council in Hapkido techniques. Ji then received a government position teaching Hapkido to the President Security forces called the Blue House (a position he would hold until Park's death in 1979). During this time, he moved his school to Suh Dae Mon (West Gate section). In the early 1960's Park, Chung Hee lifted import restrictions banning Japanese goods from Korea. Ji found a book on Japanese Aikido and saw that the Chinese characters for Aikido were the same as for Hapkido. Discouraged that a Japanese art had the "same name" as Hapkido, he decided to drop the "Hap" from its name, calling his art simply, "Kido." In 1963, Ji, Han jae, Choi, Yong sool, and Kwon, jang drafted a constitution for the Korea Kido Association. On September 2, 1963, the charter was granted for the Korea Kido Association and Grandmaster Choi, Yong Sool was named chairman. One of Ji, Han Jae’s juniors, Kim, Jung yoon was named Secretary General. Because of this and that his Sung Moo Kwan students did not want to change the name to Kido, in 1965, Ji, Han Jae left the Korea Kido Association and established the Korea Hapkido Association. His students continued to call their martial art Hapkido, and continued to teach it the way they learned it. Ji, Han Jae also had become a powerful person in the government due to his instructor position. With this power, he was able to successfully operate his own organization without help from others who were being less then ethical in their lives as martial artists. Three dominant Hapkido organizations began to immerge during the next five years. They were the Korea Hapkido Association (founded in 1965 by Han-Jae Ji), the Korea Hapkido Association (founded in 1969 by Jae-Nam Myung), and the Korean Hapkido Association (founded in 1971 by Kim, Moo Woong). 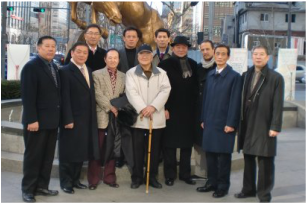 Eventually, in 1973, the leaders of these organizations met and agreed to unify their association one. The new association was named Dae Han Min Kuk Hapkido Hyub Hwe (republic of Korea Hapkido Association). Today there are still several dominant Hapkido organizations in Korea. These include, the Korea Kido Association, the Korea Hapkido Association, and the International Hapkido Federation. The Korea Hapkido Association is still the most prominent Hapkido organization in Korea, and e graduates of the Sung Moo Kwan make up the majority of its instructors. In 1967, Ji traveled to Vietnam with some of his students to teach Hapkido to the soldiers fighting there. They conducted training and demonstrations from 1967 to 1969. Force Base, his good friend, Taekwondo Grandmaster Jhoon Rhee, introduced Ji to Bruce Lee. Lee was impressed with Ji’s techniques and asked him to teach him. Ji taught Lee and also traveled to Hong Kong over the next few years to help choreograph martial arts movies and also star in a few of them. At this time, Ji taught movie stars such as Jin Pal Kim, Angela Mao, Samo Hong among many others. He appeared in three movies, Hapkido (Lady Kung Fu), Fist of the Unicorn Palm, and Bruce Lee’s Game of Death. Extra footage of Game of Death was recently released as a movie called A Warrior’s Journey, which features 18 minutes of fight scenes featuring Ji. In 1979, President Park, Chung Hee was assassinated. Ji resigned his position and became a member of the Min Jung Dang Party. Ji, and the leader of the party, Kwon, Jung dal, were from the same home town and decided that it would be a good idea if Ji organized the civilian security guards to be personal escorts of the president during travel. Before this training was made public, the head of the rival political party, Huh, Sam soo, found out about the idea and saw it as an opportunity to eliminate his rival. He informed the president that they were training these security forces in order to overthrow him. Many of the individuals involved were arrested and some were executed. Ji was sentenced to a one-year prison term. He spent one year in prison because of his political affiliation. He spent 2 years in Korea after his release and then traveled to Germany to teach for three months. 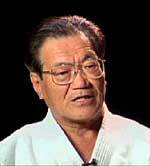 In 1984, Master Merrill Jung brought him to the United States. Much of the techniques are the same as what he taught while in Korea, but the emphasis has changed. The Sin Moo focuses more on the mental and spiritual aspects of Hapkido as well as controlling Ki or Qi and being able to use it effectively. He has also expanded the weapon repertoire (some he added while in Korea) to include the cane, handkerchief or rope, throwing techniques, and recently, the long scarf. When Grandmaster Ji first arrived, he taught some classes out of Master Jung’s school, and then opened a school in Daly City. He has also had schools in San Bruno, CA and Willow Groove, PA. In addition to Korea Sin Moo Hapkido, he also created the World Sin Moo Hapkido Association and the World Sin Moo Hapkido Federation. He lives in Trenton, NJ and travels throughout the world teaching classes and seminars. He has traveled to numerous countries and continues to share his art with the world. He has a number of students who host him for events where he is often assisted by Dr. Sean Bradley. From 2010 to 2014, he promoted a handful of students to the rank of 10th degree black belt and also gave a few close students official "kwans/schools" to continue his legacy. In 2014 he introduced a new white uniform and gold belt for his students holding 6th dan and above as practitioners of Sinmoo. More information can be found in Dr. Bradley's Sinmoo Hapkido Curriculum Handbook. This information is compiled from numerous interviews with Dojunim and many of his students by Dr. Bradley. © Copyright Sean Bradley and Washington Sinmoo Hapkido. Reproduction without permission is illegal.